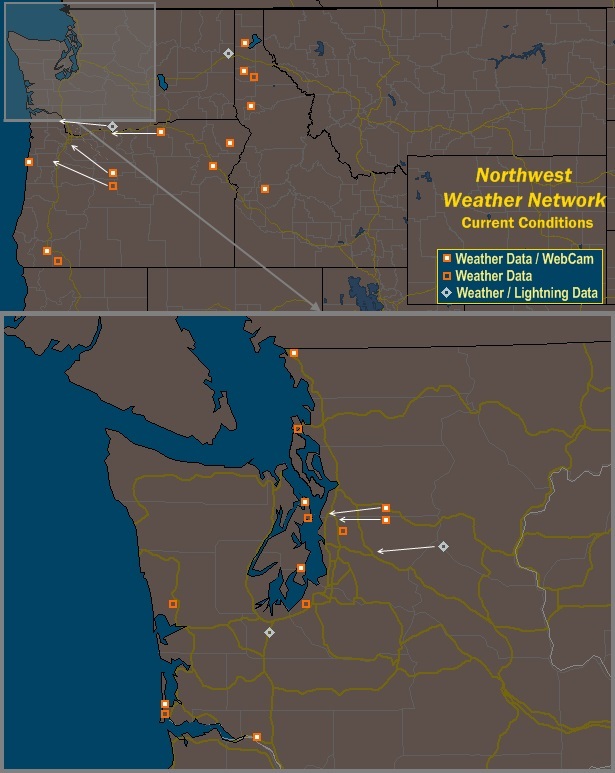 The Northwest Weather Network is an affiliation of personal weather websites located in the Northwest USA (ID, MT, OR, WA). Fernwood Weather is proud to be a member of this network. Please take a moment to visit other stations on the network by clicking on the map above or clicking on the links below. Stations are displaying current conditions, temperature, dew point, humidity, wind speed/gust speed, today's rain, barometer/trend, and time of last update where available.